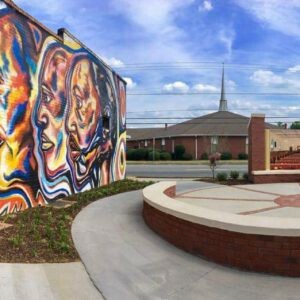 Honoring Martin Luther King, Jr. in Dublin, Ga.
On April 15, the City of Dublin will come together to unveil the final piece to the Martin Luther King, Jr. Memorial Park, two new sculptures which honor Dr. Martin Luther King, Jr.’s lasting legacy and first public speech. At the beginning of his journey as a civil rights leader and minister, at the young age of 15-years-old, Dr. King gave his first public speech in downtown Dublin, Ga. To memorialize the location of his speech, over two hundred donors, contributors, and partners came together to establish Martin Luther King, Jr. Memorial Park, a site meant to draw inspiration and reflection. On April 17, 2017, the first stage of the park opened to the community. At the end of the reveal ceremony, Oliver Stepe, YKK AP America’s President, pledged to donate $5,000 towards full completion of the site. “The Martin Luther King, Jr. Monument Park is a true accomplishment and landmark for the community of Dublin,” said Stepe. In addition to YKK AP’s generous starting contribution, Oliver issued a 5 for 5 challenge — a call to Dublin-based businesses encouraging their support of the park’s completion by pledging $5,000 by Memorial Day 2017. If three businesses signed on, YKK AP America would pledge the final, additional $5,000 to realize the project. The dream was actualized. Together with YKK AP, the Georgia Department of Economic Development Tourism Division, Curry Companies, Community Foundation of Central Georgia, The City of Dublin, and Visit Dublin GA have contributed funds to complete the park. On April 15, one year after the original reveal, the Martin Luther King, Jr. Memorial Park will introduce two sculptures, lighting, and landscape work bringing the park to completion. To learn more about the park and its opening, visit https://www.visitdublinga.org.